Northwest Mountainous is always favorite places for thousands of people interested in exploring. There are four passes has become legendary because of the rugged and stunning beauty which are challenge for every people come to this area. Pha Din Pass is also known as Pha Din Slope, located on Highway 6, one section is belonged to Phong Lai commune, Thuan Chau district (Son La) and another part is in Toa Tinh commune, Tuan Giao district (Dien Bien) …According to local legend, Pha Din Pass is the place where the sky meets the earth, so it is known as the frontier between “Heaven and Earth”.The highest point of the pass is 1.648m, compared with the sea level. The terrain is very rugged with cliffs on one side, one side is the abyss. The winding road is very dangerous with 8 corner looks like letter A or letter Z, in which many sections just enough for one cell car passing. There are cloud always covering the Pha Din Pass peak, and at its foot there are villages of ethnic minority groups. Tourists love to come here in spring because they can see the valley in its green appearance, covered with pure white plum blossom. However, when they reach the peak of the pass, all is disappearing; tourist can see the blue sky and green forest mountain. With a length of nearly 50km, O Quy Ho Pass is the longest pass in the northwestern mountains. 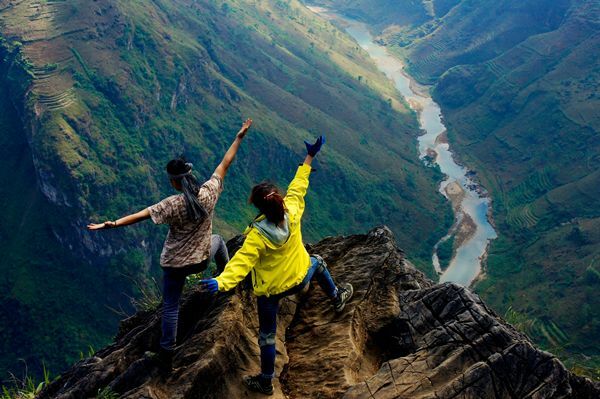 It is also one of the most craggy and majestic mountain pass in Vietnam most. This pass is located on Highway 4D, crosses the Hoang Lien Son mountain. 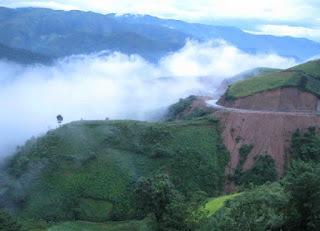 It is connecting the two provinces of Lao Cai and Lai Chau, and its top at an altitude of 2,000m is the boundary between the two provinces. It is also called Hoang Lien Son Pass because it crosses Hoang Lien Son Mountain. Tourist will be surprised by the changing of beautiful scenery. It is misty in Lao Cai side, and sunny in Lai Chau side. In winter, there is snow in the pass, and in summer it is covered by floating cloud. Standing in top of the Pass, tourist can see the wonder of Fanxipang Peak, or Thac Ba waterfall in Sa Pa. 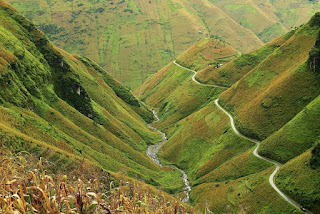 The Khau Pha Pass is a mountain pass in Mu Cang Chai District, Yen Bai Province. The pass is at an altitude of 1,200 meters to 1,500 meters above from sea level, and it is the most rugged and longest pass on National Highway 32 with a length of 30 km. Tourist can see many wonderful views when going up and down the Pass. There are terraced rice paddies cultivated by H’Mông and Thái ethnic minorities along to the Pass. In haves season, many people come here just to take bright picture of yellow rice field. In addition, there is a pristine forest which is home to many rare species. Ma Pi Leng Pass belongs to Ha Giang province, between Meo Vac and Dong Van town. 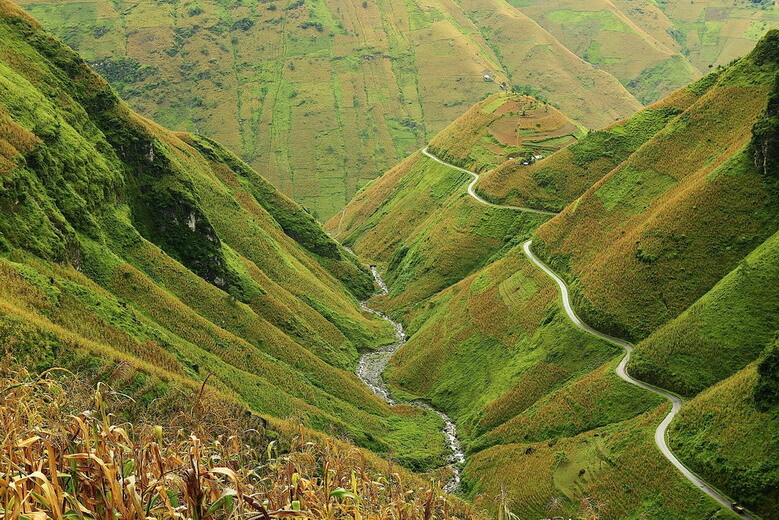 With 20km length, it is the most dangerous pass in Vietnam. Ma Pi Leng, in Hmong language means “Horse nose bridge”. The road running along Ma Pi Leng mountain pass is called Road of Happiness. The pass was built in the 60s of the 20th century by workers mainly ethnic Hmong. To discover the Pass, visitor must overcome many dangerous ways. Scenery in Ma Pi Leng pass is unique with mystery and wild beauty. Standing in the top of the Pass you can look down to the Nho Que River which is a special tectonic of nature, and look up to endlessly range of mountain of all sizes, particularly interesting shapes of Rock highland in Dong Van.